Kansas City Chief Innovation Officer Bob Bennet is confident Kansas City will take home a $50 million prize from the U.S. Department of Transportation. What would you do with $50 million? Kansas City Chief Innovation officer Bob Bennett would incorporate autonomous vehicles into public transportation, enable your car to connect with other vehicles, and create a “smart” Prospect bus line that’s Wi-Fi enabled and can sense what’s going on around it. These ideas could become reality if Kansas City wins the U.S. Department of Transportation’s “Smart City Challenge,” which will award $40 million federal dollars, with a potential $10 million match from Vulcan philanthropy, to the mid sized city that submits the most innovative and ambitious plan for improving transportation and integrating it with other so-called "smart city" elements. Although Kansas City is one of seven finalists including San Francisco, Portland, Denver, Austin, Columbus, and Pittsburgh, he thinks Kansas City is a shoe-in for the win. “I’m pretty confident we can get this done,” he told Brian Ellison on KCUR’s Up To Date. Bennett says Kansas City is looking at the Internet of Things, or the network of physical objects — devices, vehicles, buildings — installed with software, sensors, and internet connectivity that enables these objects to collect and exchange data, to make city utilities efficient and easy to use. Some of these “smart” elements are already underway. Bennett says in the next 90 days, we’ll start to see smart streetlights and traffic lights along the streetcar line. The streetlights, he says, will dim to 75 percent of their standard wattage when no one is around, but increase to full wattage when a car passes below it. The traffic lights would increase driving efficiency along Main Street by sensing traffic and adjusting green lights accordingly. 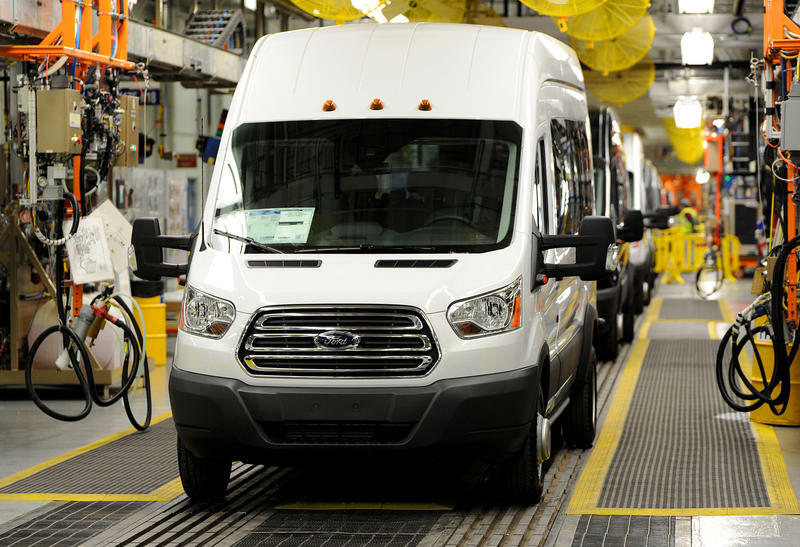 “That’s going to decrease the amount of greenhouse gases that we have, it’s going to improve the time that we all spend with our families and at our jobs instead of sitting in our car, “ Bennett says. But those are just the beginning. Each of the seven finalists received $100,000 to refine their proposals to the Department of Transportation. Kansas City’s proposal will have two major pillars. The first would build out a connected and autonomous vehicle ability for commuters in the western side of Kansas City, like Bonner Springs and into the northland. This would enable companies who are building driverless cars to actually use them one day on Kansas City streets. The infrastructure would also connect to our standard cars to alert drivers of traffic, accidents, or even direct them to the cheapest gas station when the car is low on fuel. “There's lots of ways we can integrate the internet of things the ability of the information age into what we have right now... a 20th Century vehicle,” Bennett says. The second pillar of the proposal is to revise the Prospect bus line. The Kansas City Area Transportation Authority is currently designing a new bus line which will service the entire Prospect MAX corridor. Under the Smart City proposal, each bus would be Wi-Fi enabled and have the ability to connect with information kiosks along the route. The entire line would also have responsive traffic lights. “[The system would have] the ability to detect where gunshots are located and direct public security and public safety assets to those locations,” Bennett says. What sets KC apart from the other finalists? Competition will be stiff — with Google Fiber now in Austin and coming soon to San Francisco, Kansas City will no longer be able to boast of access to gigabit internet. But Bennett says that a few things set Kansas City apart. For one, he plans to include more citizens in the process. In the next few weeks,his team will set up office hours at the Lucille Bluford Library at 31st and Prospect to ask for public input to make sure the plan resonates with the community’s needs. “We’re going to take this to the streets...we will present to the community, ‘Hey, this is what we think Prospect MAX will look like if we win, and is this meeting your needs or not meeting your needs, how do we adjust our bid to account for that?’" Bennett says. Another factor is that Kansas City is physically among the largest cities in United States. If we can make these long-haul communications and connections work, he says, any city in America can make them work. 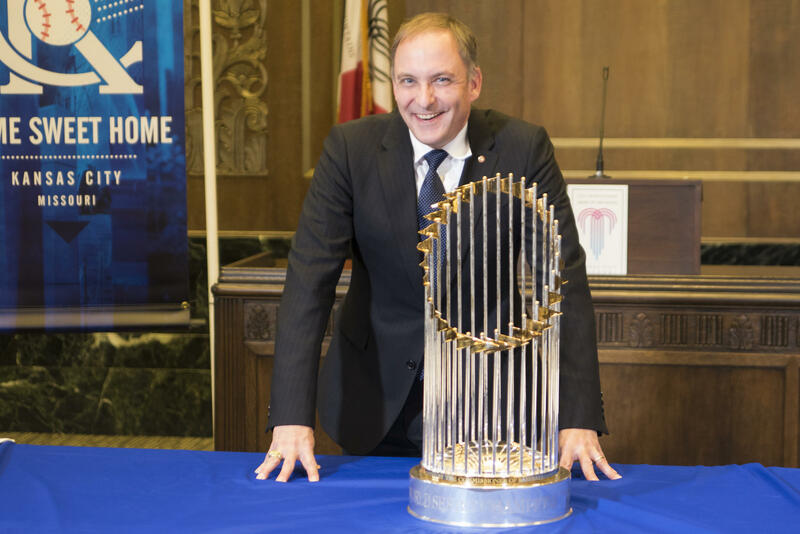 Bennett returns to Washington D.C. in April to coordinate with the other cities, and the winning city will be announced in July. The job summary is a little daunting: Kansas City seeks a creative thinker to find innovative and smart solutions to the city’s complex problems. No big deal, right? For Bob Bennett, Kansas City’s new Chief Innovation Officer, it’s nothing he hasn’t seen before. His 24-year tenure in the U.S. Army afforded him plenty of daunting tasks. While he served in Iraq under General David Petraeus, he developed interagency strategies between the military and aid organizations — something that neither institution is prone to do. The Missouri legislative session is already underway in Jefferson City. On this week's Statehouse Blend, we discuss the most important issues for the 2016 assembly, and speculate on the outcomes. We're talking ethics reform, guns, and transportation. This is an excerpt from Statehouse Blend. You can listen to the full episode here, or by subscribing on iTunes. (First hot tip, nobody calls Kansas City “Cowtown” anymore). Well don’t freak out! The Kansas City metro may sprawl nearly 8,000 square miles, but all you need are a few pointers and you’ll be fine. Kansas Citians will soon be able to request on-demand rides to stops not on the regional bus system. The Kansas City Area Transportation Authority announced Thursday it will launch a new shuttle service called Ride KC: Bridj in March. 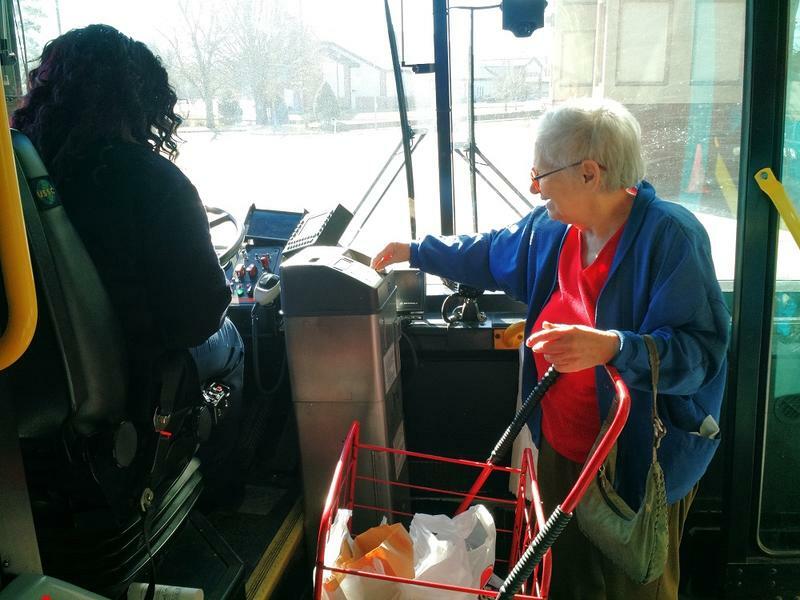 Every Tuesday and Friday, about a dozen seniors from the Santa Fe Towers Apartments in Overland Park eagerly drop quarters into the fare box of the 812 Flex route bus. Many of the passengers are old hats when it comes to public transit. They've got their fare ready well before they get on the bus, and some pull along wheeled baskets to tote around the groceries they'll get from Hy-Vee. One of the riders on a recent Tuesday was a woman named Carolyn, who asked that only her first name be used. She's used buses to get around Johnson County for the past 7 years. 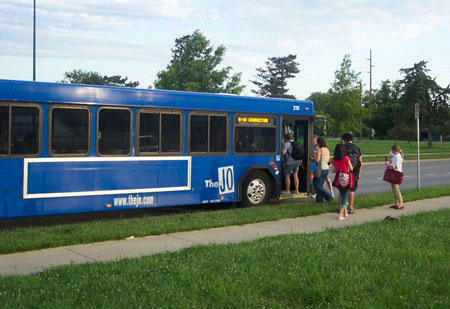 University of Missouri-Kansas City students with a valid student ID can now ride Johnson County's bus lines for free. The Kansas City Area Transportation Authority expanded the service as part of its new focus on regional transportation since former Kansas City, Kansas Mayor Joe Reardon was hired as president. 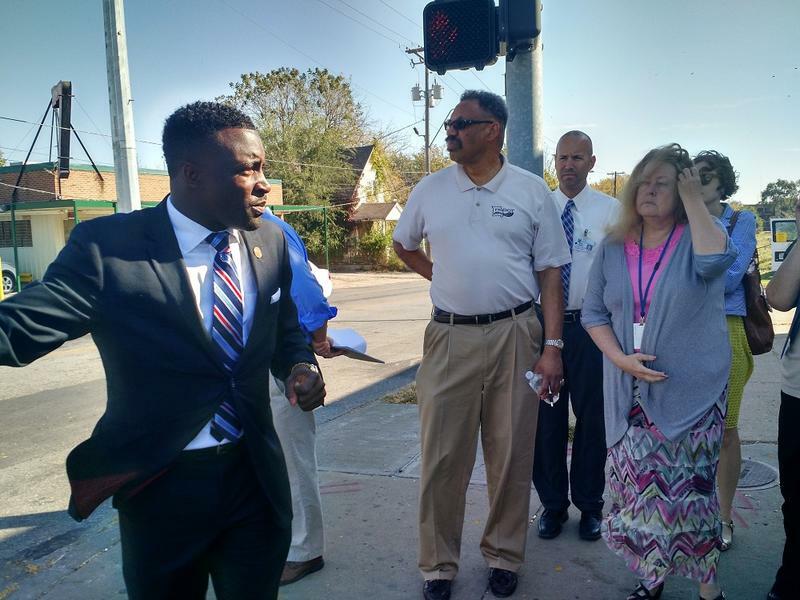 Around two dozen community members joined Kansas City Area Transportation Authority (KCATA) officials and Kansas City Councilman Jermaine Reed on a tour of Prospect Avenue Wednesday to give feedback on the proposed Prospect MAX bus line. The $54 million project is currently in its early development phase while the Federal Transit Administration mulls over the ATA's application for federal funds. The ATA asked for $30 million, and the city just passed a resolution pledging matching funds of $12.4 million.